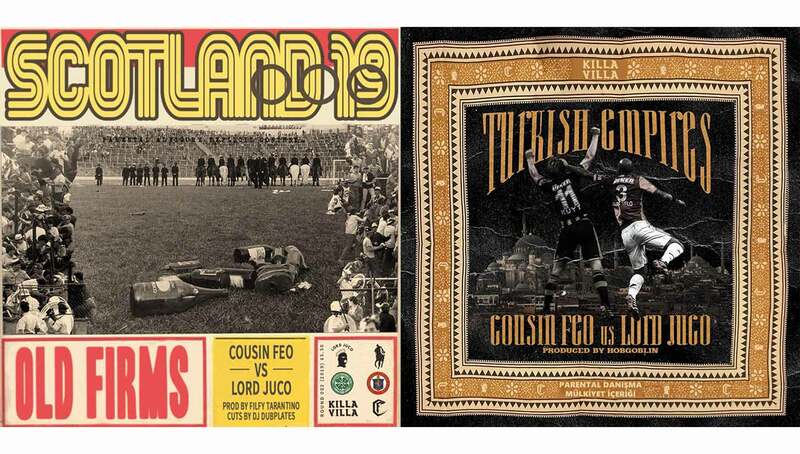 A project between Los Angeles’ Cousin Feo and Toronto’s Lord Juco, Death at the Derby gives us a series of tracks dedicated to football’s most heated rivalries. 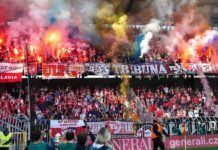 With some of the most passionate fans in the world, it’s no secret that football matches can become extremely perilous, especially during a derby. While we’ve highlighted some of these fierce rivalries in the past, rappers Cousin Feo and Lord Juco have created a series that honors them in a new way — through booming hip-hop tracks. 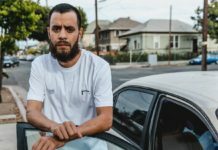 With one single dropping every month, the Death at the Derby project has gained support from none other than Killa Villa, one of the foremost clothing labels in terms of the melding of hip-hop and soccer cultures. “Lone ranger out the gold manger/No stranger to the pitch or the flow’s danger,” rhymes Feo on “Old Firms,” the latest Death at the Derby track that, as the title suggests, gets its name from the Celtic-Ranger rivalry. “Old Firms” is the second installment of the Derby project, which was kicked off last month with the Galatasaray-Fenerbahce inspired “Turkish Empires.” Both tracks have menacing ’90s boom-bap era beats (produced by Filfy Tarantino and Hobgoblin respectively) beneath plenty of football-referencing rhymes. On “Turkish Empires,” Juco spits, “I’m Graeme Souness sticking my flag in the middle of this little stadium.” When’s the last time you heard a Graeme Souness reference in a rap lyric? Never. Billed as “Cousin Feo vs. Lord Juco,” each rapper chooses a side of the rivalry, with Feo repping Rangers and Juco Celtic in the most recent track. “Ally was nice, but Larsson was cleaner,” raps Juco, referring to legendary figures in the rivalry Ally McCoist for Rangers and Henrik Larsson for Celtic. While they go toe-to-toe in each track of the series, Feo and Juco are an international team, one that came together through their mutual love for the beautiful game. Keep your eye out for the next track in the series, which is set to drop in next month. Word on the street is that they’re taking the series down to South America. You can stream and download “Old Firms” and the rest of the Death at the Derby series here.